But I’m not sure how I should give it some color/texture. Is it possible to give the body a standard yellow material, but only give the eyes and beak a texture which I can then paint in the Blender 3D window? C&C about the model is always welcome! And yeah, just go into UV Face Select and only select and work with certain faces. 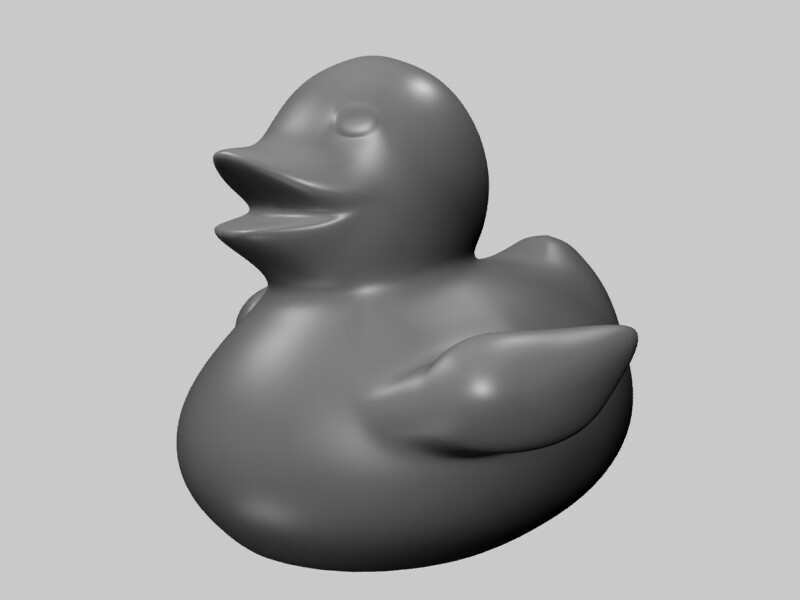 To make it work in a render you’re going to have to give those faces a material, but you can just turn on the TEXFACE option (which basically means ‘use UV map for color’) to make the texture work; and then just assign the rest of the faces your duckkie_rubber texture :). You can also put the texture in a texture channel mapped to color via UV (an option which would let you put bump and spec and so on map textures on in different layers, but which is probably overkill for this).